The day before I had my six-week postpartum checkup, I woke up to a bloodbath. After my bleeding had stopped about three weeks after I had my baby, I was (predictably) completely confused as to why I was suddenly gushing again. My mind raced through the possibilities — could it be my period already? Doubtful, considering I was exclusively breastfeeding and my cycle had not returned with my other children until eight months. Could I be dying of a postpartum hemorrhage? I didn't feel woozy or dizzy. Maybe there was something left up in there and my cervix couldn't close? First of all, gross, and second of all, how on earth would I know? Much like pregnancy, postpartum bleeding can look different for every woman, but there are some basic mysteries that can be cleared up. "You can bleed for about six weeks," says Dr. Draion Burch, an osteopathic obstetrician and gynecologist at Magee-Womens Hospital of the University of Pittsburgh Medical Center. "It doesn't matter if you had a C-section or a vaginal delivery. Some women will bleed a little longer and some women will bleed a little shorter." The important takeaway here, folks, is that the six-week average is just that — an average. That six-week timeline comes from the average length of time it takes for a woman's cervix to close back up after childbirth, but that certainly doesn't mean that you will only bleed for six weeks and not a day longer. I've heard of women only bleeding for a few days and some bleeding for twelve weeks. Have you ever noticed that your bleeding has kind of a sweetish smell? I know, it's weird, right? But there is a legitimate reason it smells like that. "The sweet smell usually occurs on day three after your delivery," explains Dr. Burch. "It comes from white blood cells and other cells from the uterine lining." 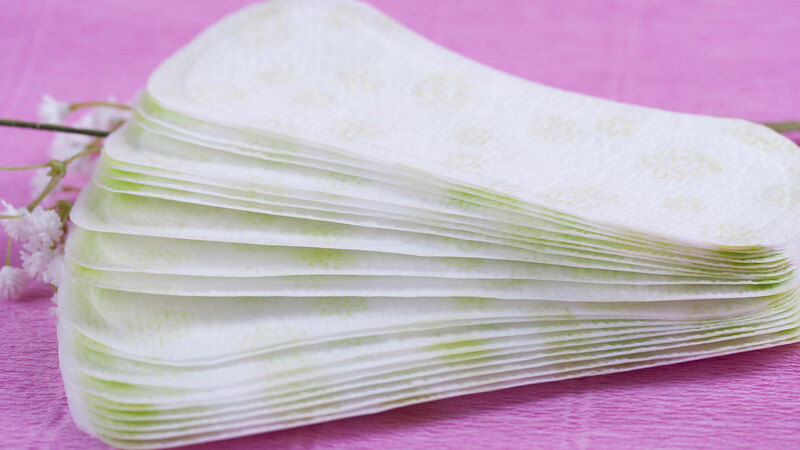 In my experience, I mysteriously started bleeding again after losing those lovely hospital-grade pads around week three and I had no idea why. Until I thought back to what kind of activity I had done that week — dragging my two oldest and my newborn with me on a work trip and a twelve-hour round-trip train ride. Oops. Turns out, "overdoing it" after you give birth may be to blame for the restart of bleeding. Many different things, such as hormones, stress or weight loss in the postpartum period can affect your bleeding, says Dr. Burch. And in some cases, especially for women who aren't exclusively breastfeeding, your period can also come back as early as four weeks. Any increased blood flow after your flow had previously been slow should be a signal to you to take it down a notch and put those feet up. At discharge, nurses tell new moms to call their doctors when they are soaking more than one pad per hour, or if they pass a "big" clot. But what the heck does that mean? Basically, if you pass a few random clots, especially if it happens after you've been sleeping or sitting for a while, don't panic. That's normal. But if you have repeated, large clots accompanied by heavy bleeding, it could be a signal that your uterus still has some tissue in it so it can't contract all the way down. And know that a true, emergency postpartum hemorrhage can really happen at any time, even as far out as six weeks after birth.